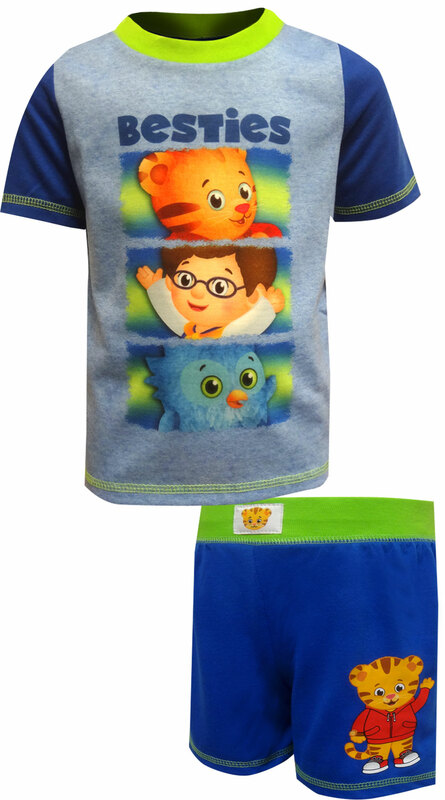 Description: Inspired by the legendary Fred Rogers, these Daniel Tiger's Neighborhood pajamas are sure to be a hit with your little guy! Made from flame resistant fabric, these short pajamas are the season's hottest style. 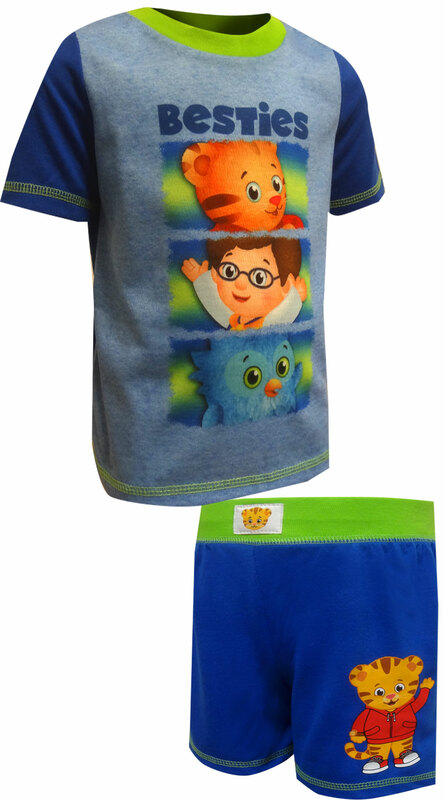 The shorts feature a friendly Daniel and the top has Daniel with his best friends, O the Owl and Prince Wednesday. Adorable!